From the first glance, I wanted to love this set. (Full disclosure: There’s nothing I adore more than containers. Especially containers that are made to hold very specific things.) And, now that I’ve put the scissors and organizer to the test, I’m very happy to report that both are every bit as awesome and as useful as they look! 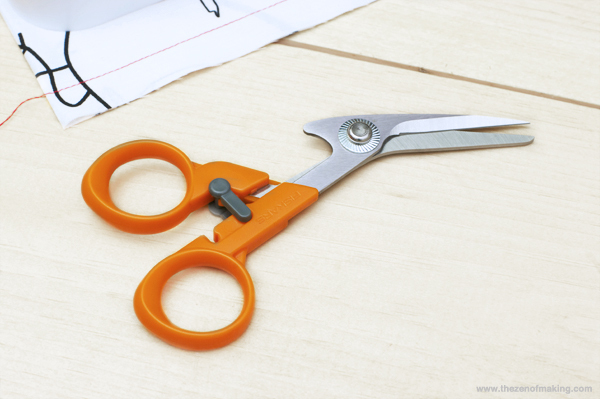 Our ultra-sharp scissors converts to a seam ripper, and the multipurpose bonus base makes it easy to keep all of your notions organized. 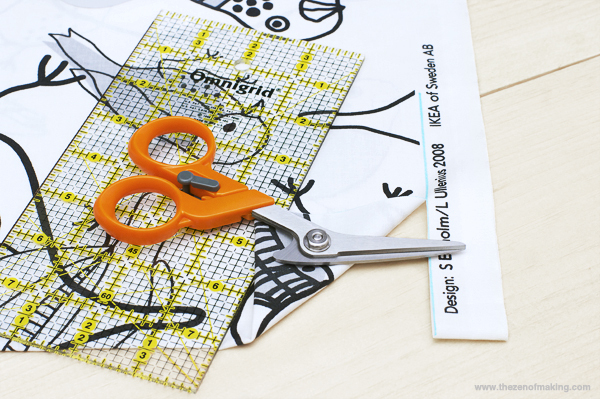 The perfect companion for all of your machine sewing projects, our unique Detail Scissors/Seam Ripper combines two essential sewing tools in one. When used as a detail scissors, the precision-ground blades make clean, precise cuts. 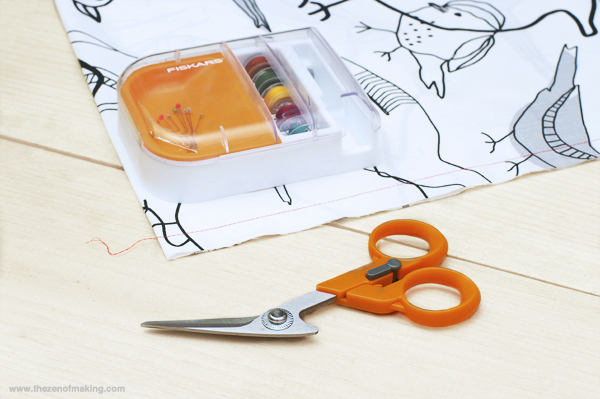 For added functionality, simply slide the lever to convert the scissors into a seam ripper. The ergonomic handle design helps you keep your hand out of the way while you cut and enhances control for improved cutting accuracy. 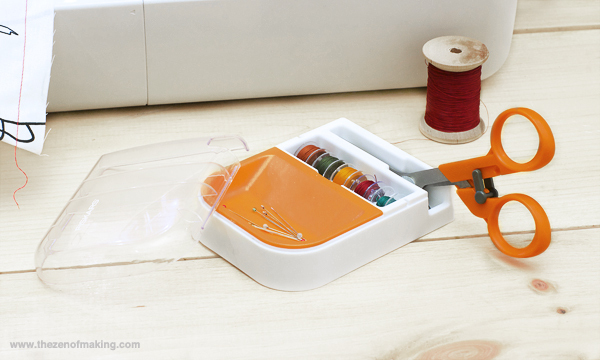 As a bonus, the Multipurpose Organizer makes it easy to access and store your Detail Scissors/Seam Ripper Combo so you can stay focused on your project. 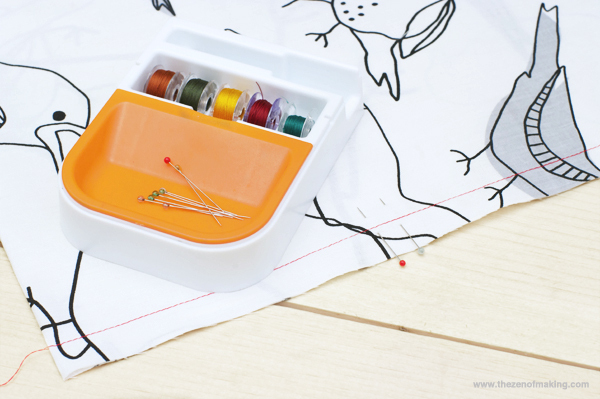 The base also includes a pin catch, bobbin holder and magnetic pin sweeper for easy cleanup. 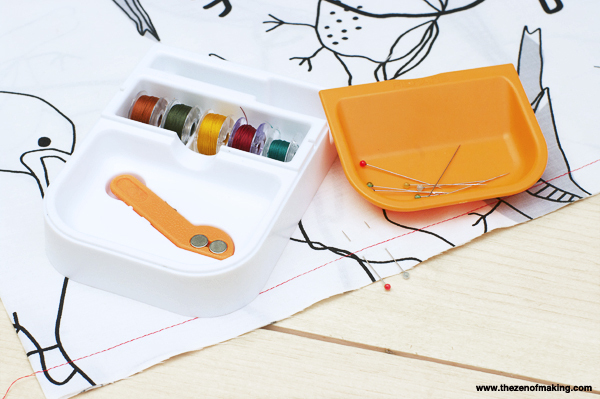 First things first, I loaded up the organizer to make sure that the pins, bobbins, and scissors fit neatly and securely in the pin catch, bobbin holder, and scissors slot. (After all, you don’t want to fight with a cranky organizer in the middle of a project.) The result: everything fit perfectly and the lid snapped easily in place.  A simple clasp switches the scissors from detail scissors mode to seam ripper mode. 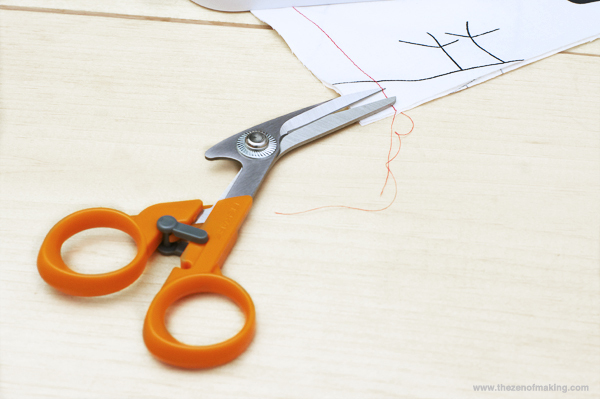 As you can see, the seam ripper mode locks the blades of the scissors in a slightly open position, allowing the bottom blade to be used to pick stitches and open seams. 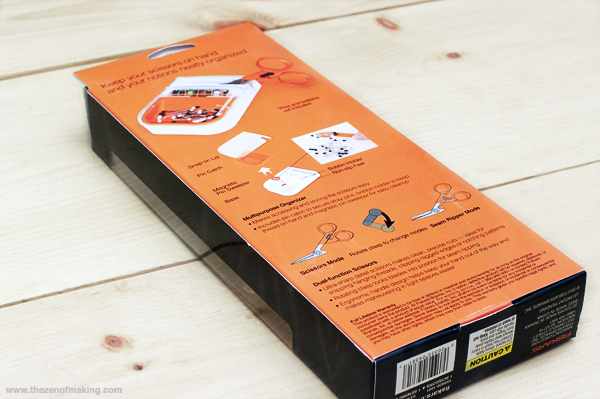 Note: The scissors fit in the scissors slot in the organizer in both detail scissors mode and seam ripper mode. 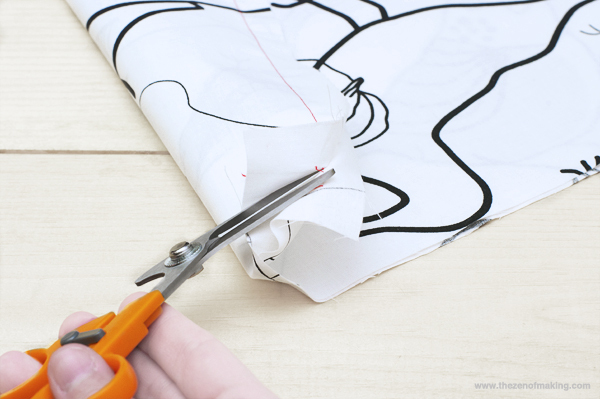 When in seam ripper mode, the sharply pointed bottom blade of the scissors slipped easily under stitches and along the insides of seams. The blade was both sharp enough and thin enough at the tip to easily remove small machine stitches. Note: I didn’t have any problems fitting the blade under my stitches, but I’d definitely like to see a smaller/thinner version for finer detail work. 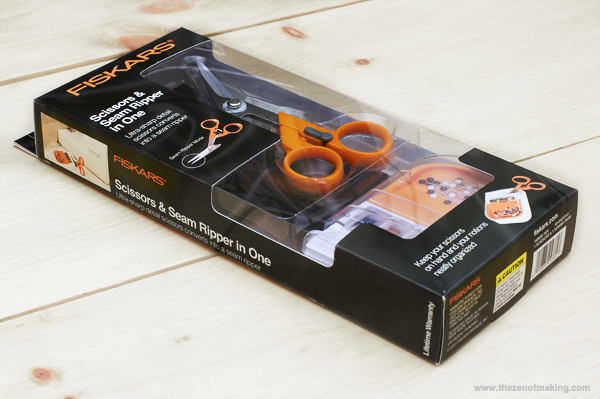 As the box promised, the ergonomic handle on the scissors was comfortable and kept my hands well above the path of the blades, allowing for clear visibility while I was cutting or ripping seams. 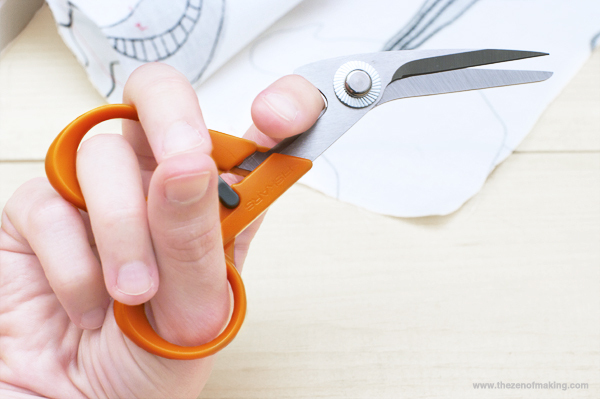 In detail scissors mode, the sharp blades cut through multiple layers of fabric easily, leaving a crisp, clean edge. 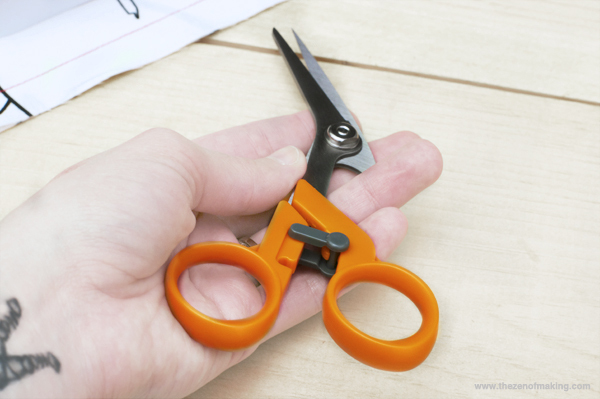 The scissors were also easy to maneuver and didn’t cause hand fatigue while I was working. The magnetic pin catch was perfect for storing pins while I worked, and the size of the bowl was big enough to hold the quantity of pins needed for a large project. When the pin catch was lifted away, there was a removable magnetic pin sweeper underneath. Have you ever lost a pin on the floor? It’d be great for that too! Last, but certainly not least, let’s talk about the bobbin holder. While it certainly wasn’t large enough to store all of my bobbins, it was perfect for keeping extra pre-loaded bobbins at the ready for big sewing projects. It’d also be perfect for quick color changes in appliqué or embroidery. Note: Though the set worked perfectly when I tried it out, I’m a little bit worried that the dual scissors/seam ripper role will dull the blades on the scissors more quickly than expected. 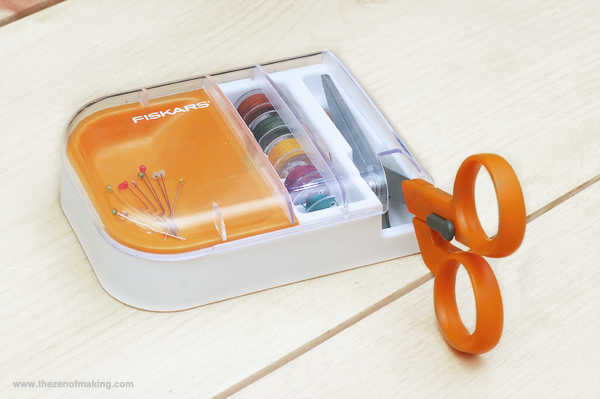 I’d love to see a scissors slot with a built-in sharpener in future versions of the organizer! Disclosure: Samples provided for review, but my opinions are honest and my own. Like what you see? You can buy one here and support TZoM at the same time! These Scissors Sure are Friendly! Craft Social: How Has Social Media Changed Your Crafting Business? Your review could not be more thorough and I appreciate that because I am always in doubt about new products! 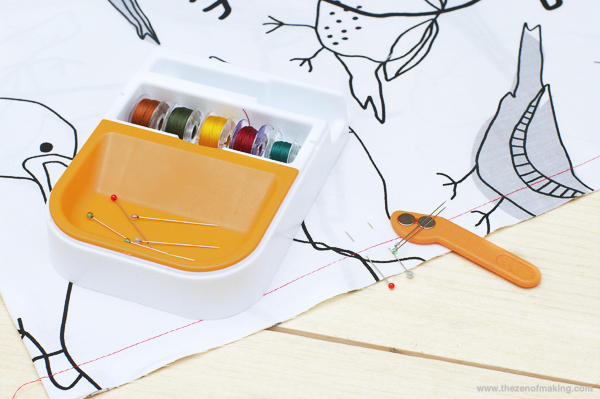 At first, I was a bit put off by the slot for holding bobbins because I already have storage for those and I would never want to have my bobbins stored with my seam ripper! 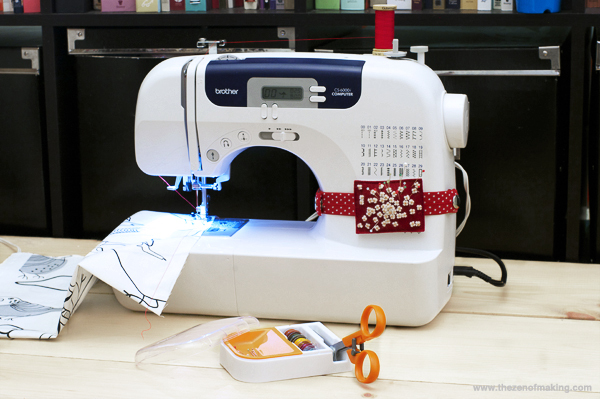 But I started thinking about those few spools of thread I keep in my portable sewing kit – you know like white, beige black…. for when i need to attach something quickly to a project. The bobbins would be a much improved place to store that thread!! And take up much less room! Thank you for all your thoughtful work here.